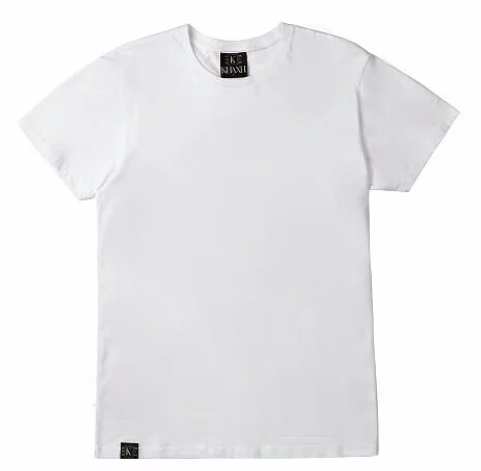 Here at Khaxh, we are clothing suppliers who offer 100% denim cotton clothing, streetwise streetwear, 100% organic t shirts, ethical clothing, sustainable clothing, fashion clothing, fairtrade clothing, organic clothing and denim cotton clothing to clients throughout Palmers Green and the surrounding areas of London. If you would like to find more information on the clothing that we provide from our base in Palmers Green, be sure to get in touch with our experienced team today. We’d love to hear from you and assist you in any way we possibly can. We believe in transparency here at Khaxh, which is why we’re very open with the fact that we’re still a baby company. 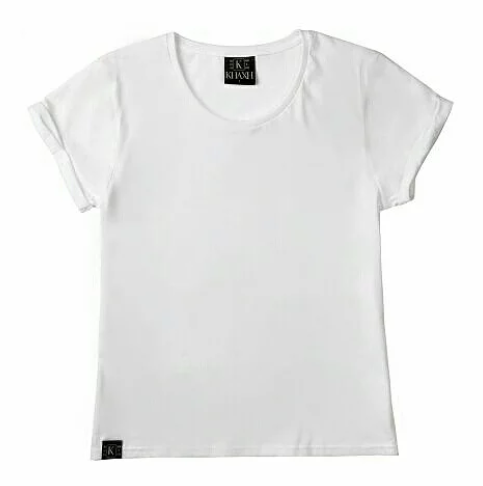 We work towards sustainability, thus promoting fair trade; with aims to achieve full ethical delivery methods of bio-degradable packaging, we believe that we are the next step in clothing. We only work with suppliers that have the same ethos as us – when it comes to fair trade and environmentally-friendly methods of production, no corners should ever be cut. We’d love for you to join us on this journey of sustainability! 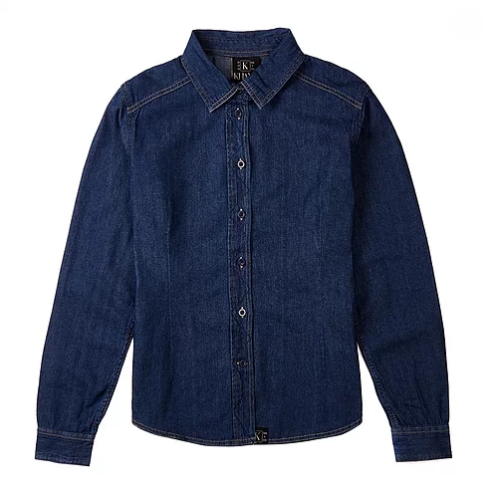 Denim is a sturdy cotton warp-faced textile in which the weft passes under two or more warp threads. This twill weaving produces a diagonal ribbing that distinguishes it from cotton duck. 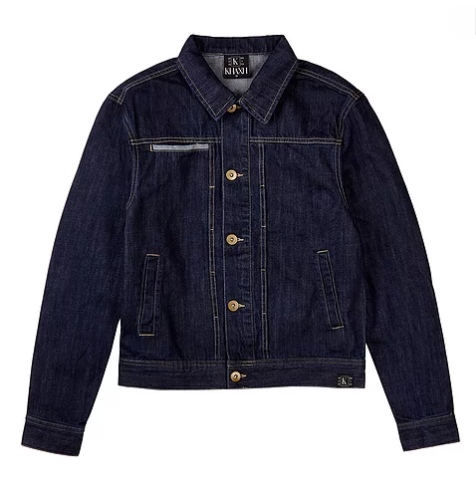 While a denim predecessor known as dungaree has been produced in India for hundreds of years, denim itself was first produced in the French city of Nîmes. 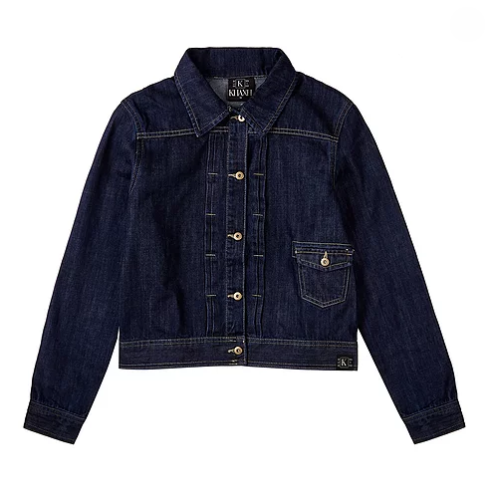 The most common denim is indigo denim, in which the warp thread is dyed, while the weft thread is left white. As a result of the warp-faced twill weaving, one side of the textile is dominated by the blue warp threads and the other side is dominated by the white weft threads. This causes blue jeans to be white on the inside. The indigo dyeing process, in which the core of the warp threads remain white, creates denim’s signature fading characteristics. 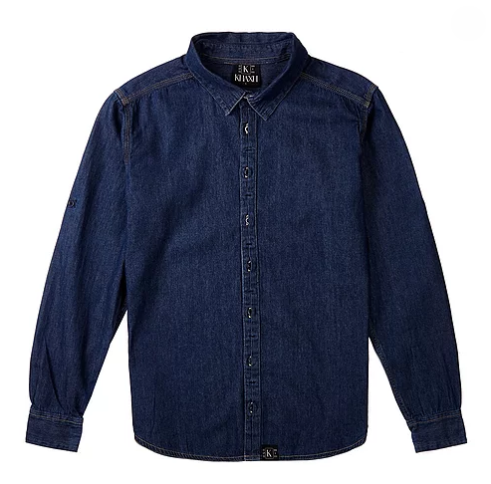 We believe that the 100% denim cotton clothing that we provide to our clients is the best possible material to use when creating and supplying denim clothing from our base in Palmers Green, London. Wherever we do business, be it throughout London or the rest of the UK, we are committed to doing our best to deliver a high-standard of ethical conduct. For us, it’s simply not enough to comply with legal requirements, we are constantly looking for new ways to improve our relationships and work closely with everyone involved in our journey of sustainability. We require complete transparency when it comes to our products, and our suppliers are ethical in the production of their clothing. Fairtrade doesn’t just mean paying a fair price, it’s a different way of doing business altogether. It puts people and their environment at the centre of business. It recognises, promotes and protects the cultural identity and traditional skills of small producers as reflected within their craft services. If you’re based in Palmers Green or the surrounding areas of London and you require additional information on the products that we offer as clothing suppliers, such as 100% denim cotton clothing, streetwise streetwear, 100% organic t shirts, ethical clothing, sustainable clothing, fashion clothing, fairtrade clothing, organic clothing and denim cotton clothing, please don’t hesitate to get in touch with our experienced team today. We’re always here to take your call, deal with any enquiries and answer any questions that you may have regarding the clothing that we provide from our headquarters in Palmers Green, London. Alternatively, you can take a look at our website to see a full overview of the clothing that we provide, we’re sure that you’ll love what you find.